A ridiculously simple formula that if applied more frequently and more exactingly would go a long way to preventing the hundreds of thousands of disaster projects that happen worldwide each year. 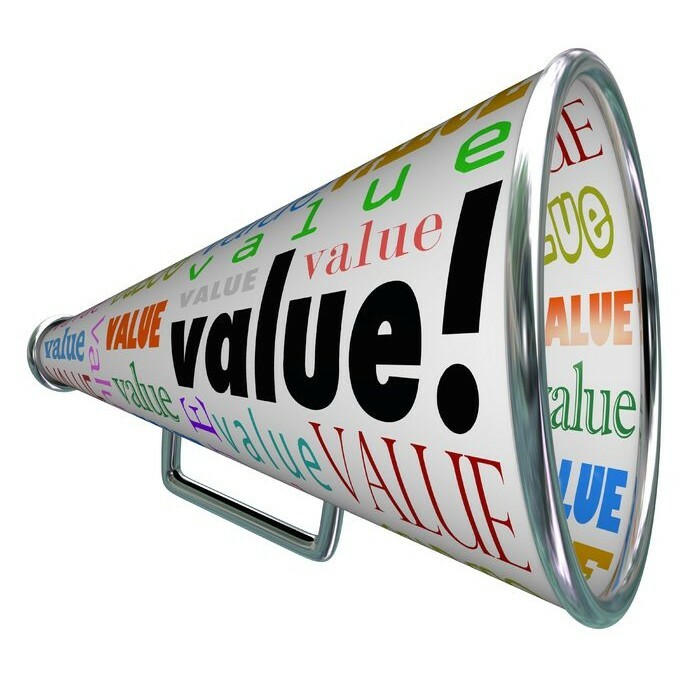 If you can’t show Value why are you proposing doing it? It’s the most basic form of business case calculation and one that all enterprises, not matter how large or small, business, government or third sector should be making before they embark on any substantial investment. When projects are being evaluated or products or services being purchased, then it’s important to perform this calculation. It’s also equally, if not more important to review this, during the entire life-cycle of the project – something that many enterprises neglect to do. The calculation of value allows for a less emotional view of the development, than might otherwise prevail. All business cases for developing new products should look at alternatives. Everyone likes developing new stuff, so optimism always reigns when new products are proposed, but it makes a lot of sense to also fully understand the value of doing nothing, or of other alternatives, before embarking on the chosen path. Clearly there’s a danger of development costs being underestimated and then increasing as the product is being developed, causing projected costs to exceed projected benefits and giving the product negative value. As long as costs are being actively forecast by the Project Manager and regularly reviewed by senior management, then timely action can be carried out if costs are increasing and the projected value appears to be diminishing. This might be, for example, looking for savings, reviewing how delivering less would affect benefits, re-negotiating with suppliers, or in extremis, abandoning the project. Projected benefits can change, as well as costs, depending on what is happening in the market and this too is important to monitor. If the project is an IT development and Agile methods are being employed, then it may be possible to make an early release of the product – a calculation of value would be the best way of deciding if and when this made sense. Of course it isn’t always easy to calculate benefits in cash. The benefit of carrying out some work, might be that the organisation remains legal or within the rules laid down by a regulatory body. It may not be easy to set revenue benefits against these, although you should try hard with these apparently more intangible costs, for example, looking at the costs of court cases, regulatory fines etc. suffered by competitors, may allow you to do this. I would caution against adding too much significance to benefits that cannot be monetarised. In my experience, business cases that are full of these completely intangible benefits are the ones whose authors are least confident that the project has value and are desperately searching for some way to make it happen. So, a simple formula that could make a big difference to your bottom line, if rigorously applied.